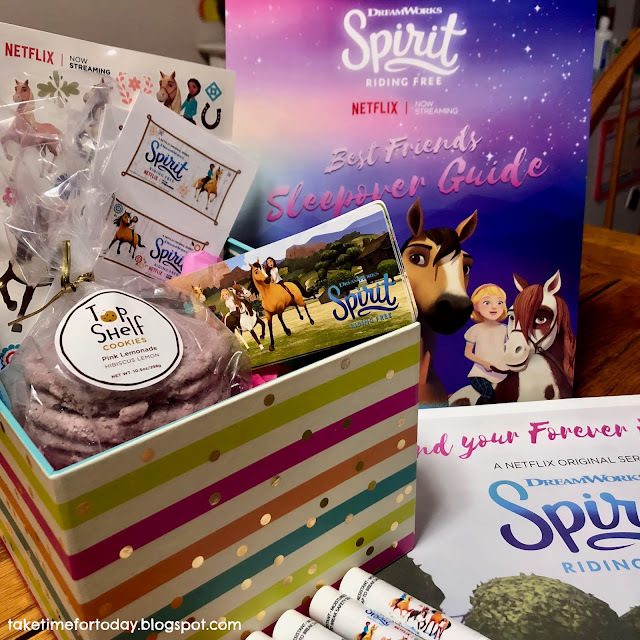 Spirit: Riding Free ~ Season 7 now streaming on Netflix! for our participation, but all opinions expressed are our own. 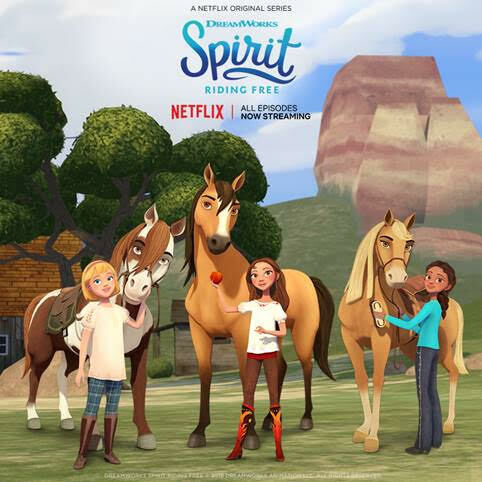 My girls have had a blast spending time with Lucky, Spirit, and their friends this weekend on Netflix! 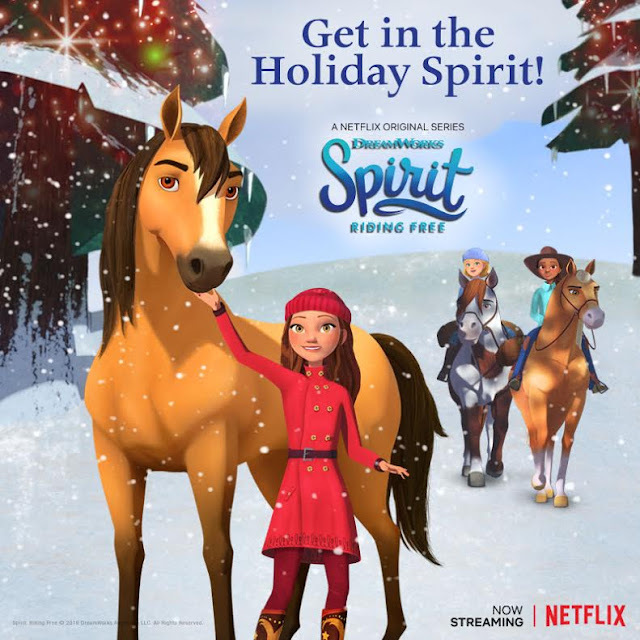 The debut of Season 7 of Spirit: Riding Free was yesterday, November 9, and it is fantastic. 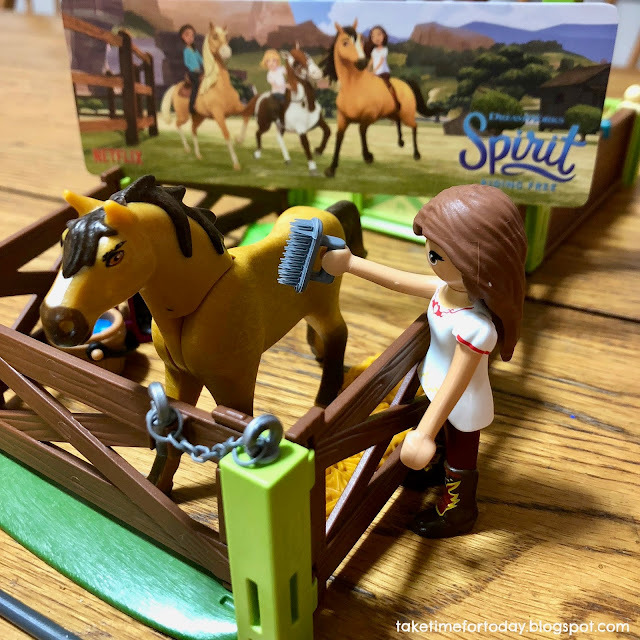 When we're not watching the show or listening to the theme songs, we're playing with this amazing Playmobil Spirit: Riding Free set featuring Lucky, Spirit, and horse stall, and all the supplies needed for Spirit to be well taken care of. It's a huge hit! Season 7 is now streaming on Netflix! Share your Spirit love online using the hashtag #SpiritRidingFree! We received free product to facilitate this post. No other compensation was received. As you know, I'm on a mantle decorating kick. Needless to say, as much as I loved my Thanksgiving mantle, I was super excited when it was time to make the swap for Christmas decor! I'm truly feeling like this is decreasing clutter on my mantle and helping to create a more peaceful space in my living room. 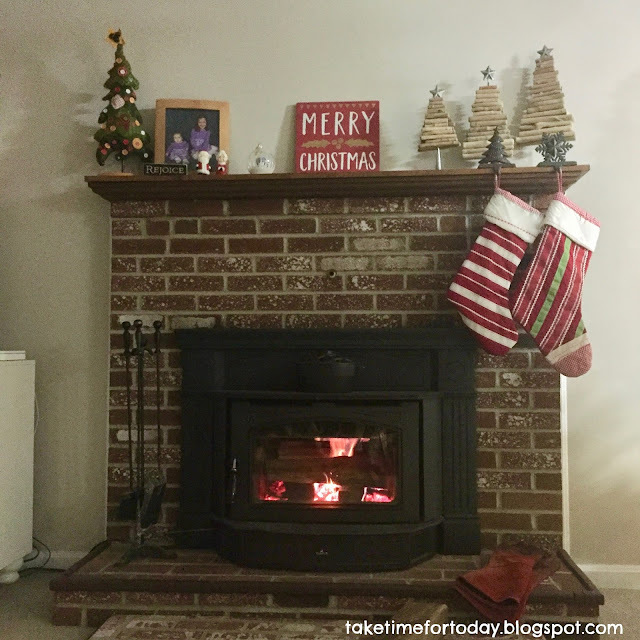 I'm so excited at both the simplicity and festivity of this Christmas mantle! 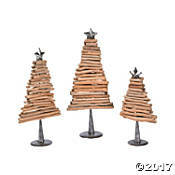 I love the homey, rustic, details of this Holiday Handicraft Wood Tree Set. The trees are beautiful yet simple and the perfect size for my mantle. Combining wood with metal, they are sturdy, and I expect them to be a staple Christmas decoration in our house for years to come. 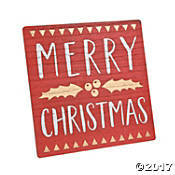 The Merry Christmas Tabletop Sign adds a pop of festive color to some rustic Christmas charm. It's a sturdy wooden sign and actually has a built-in stand so you could use it as I have on the mantle, or right in the middle of your Christmas dinner table as a free-standing centerpiece. The Vintage Christmas Tree to the left is a favorite Christmas decoration that I scooped up last year. Our mantle always seems to be full of little trinkets - they all deserve a spot there, but all of them together is just too much. Switching things out seasonally is making a big difference in simplifying our space and helping us focus on one thing at a time. Right now we're focused on Christmas and I'm loving these new additions to our decor! You can find these Christmas decorations and more on the Oriental Trading website. 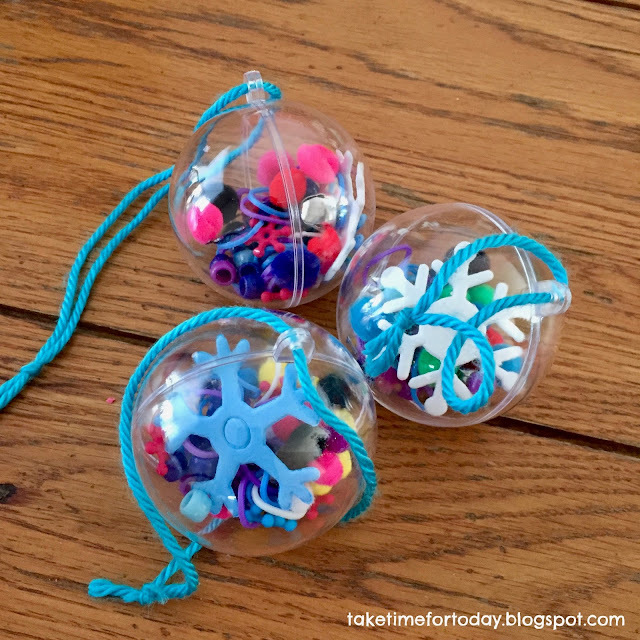 DIY Christmas Ornaments - Perfect Gifts for Friends and Teachers! I've shared before that my oldest daughter is a giver. She can find any occasion to give gifts to her friends. Christmas is one of the more obvious times of year where she starts planning months in advance for the most perfect, thoughtful, true-to-her, gifts for friends and teachers. This year she chose to make ornaments for gifts. She knew she wanted them to be "winter color" themed ornaments with blue, turquoise, purple, white, and of course, anything sparkly. 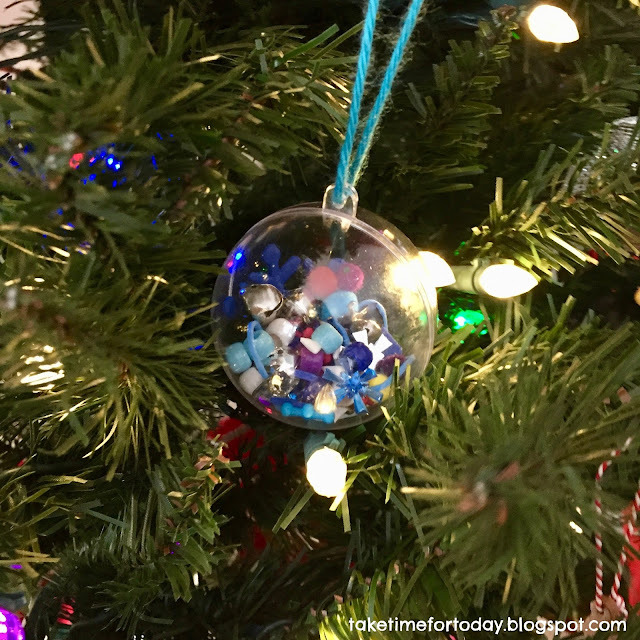 She loves to be creative and I love to be low-maintence these days, so these DIY winter themed Christmas ornaments were perfect for us both! We started with some Clear Christmas Ornaments and then simply just filled them up with blue and pink Snowflake Beads, Winter Pony Beads, Silvertone Jingle Bells, Winter Fun Loops, Snowflake Jewels, Tiny Pom Poms, Glitzy Buttons, and Foam Snowflake Craft Shapes. What we got were some colorful (just like my daughter! ), wintery, super cute ornaments that will look great on Christmas trees this year and for years to come! 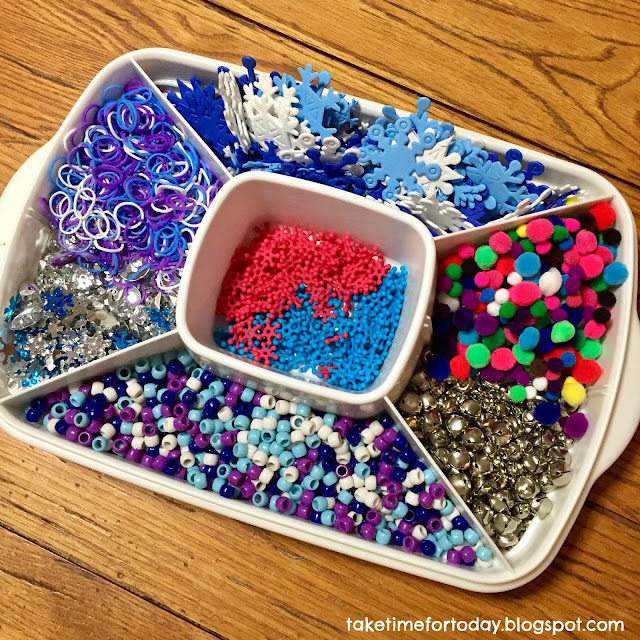 What a simple and fun way to ring in the holiday season and help us gift a lasting memory to our friends and teachers this year! We got all the supplies for these super easy DIY Christmas Ornaments online from Oriental Trading. Shop the Oriental Trading Christmas Sale today! Our Home (and our Hearts!) are Ready for Thanksgiving! I love warm weather, but there's something to be said for the shift in New England seasons and the gradually change to cooler air, colorful trees, and limited edition pumpkin-everything throughout the grocery stores! Thanksgiving is my husband's absolute favorite holiday so we always do the holiday up big when it comes to food. We've always slacked a little (or a lot) on decorating, though. We look at the table on Thanksgiving morning and realize that we forgot to decorate! Thankfully the food takes up a lot of space and fills the space, in some ways serving the decorating purpose well enough! This year though, we wanted to switch things up, both literally and figuratively. 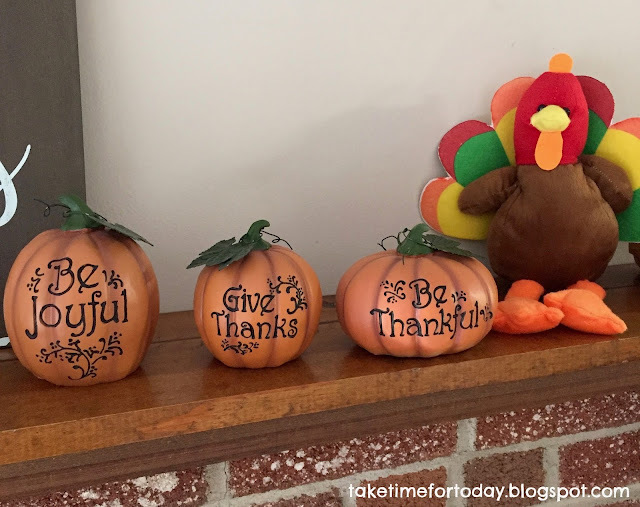 We decluttered our fireplace mantle and added some new Thanksgiving decorations to prepare our spirits - and this year our home too - for giving thanks! I'm so excited about some of our new additions. I think we have the perfect combo of pretty and fun - because with two little ones you can't skip the latter! 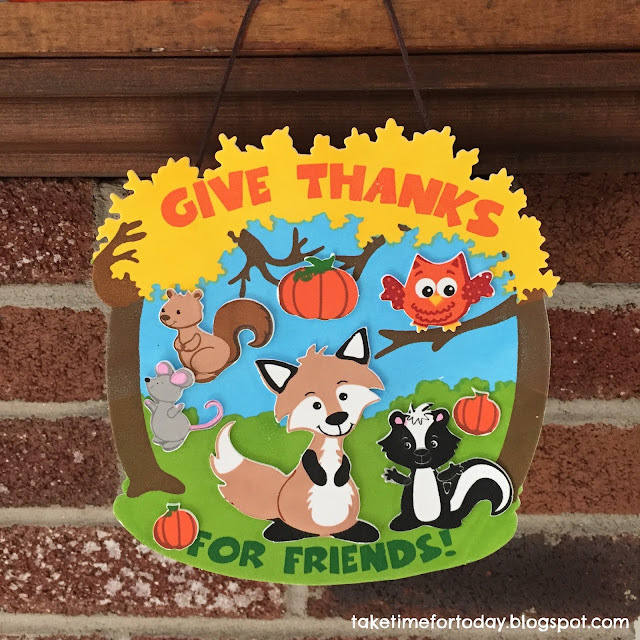 This Sweet Fall Sign showcases white paint on brown wood. It's sturdy and reminds us of what Thanksgiving is truly all about - giving thanks! Several Fall Burlap Pumpkins add a pop of fun color to the simplicity of the sign. This pumpkin set comes with 12 pumpkins so we were able to spread this bit of charm throughout our home which was a really fun touch! This "Carved" Thanksgiving Pumpkin Set is beautiful. Again, reminding us of the spirit of the season, these sweet pumpkins are the perfect touch. Of course, we couldn't skip the colorful Plush Turkey! This cute little guy keeps moving from room to room around our house. He's pleasing to the eye and a huge temptation for my littlest to play with! He certainly adds just the right amount of fun and silly to our Thanksgiving decor. We'll miss him when we pack him up after the holiday passes, but how fun it will be for him to visit again year after year! 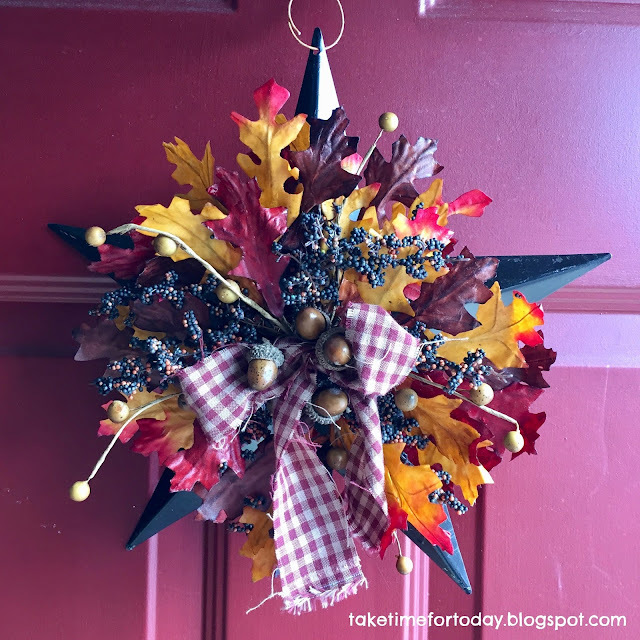 To take our decorations beyond our living room, we've hung this Autumn Leaves Barn Star on our front door. I am super duper excited about this. I adore having a beautiful wreath on our door each winter, but that's the only time we ever really have pretty, and welcoming, door decorations. Just adding it to the door makes me feel more hospitable. I love the rustic charm of this star! It's perfect for fall in New England. Everyone is well aware of my oldest daughter's commitment to gifting her sweet friends with holiday treats. She can't pass up the opportunity to let them know that she's thankful for them! This Give Thanks for Friends Craft Kit is what she chose this year and it is perfect. 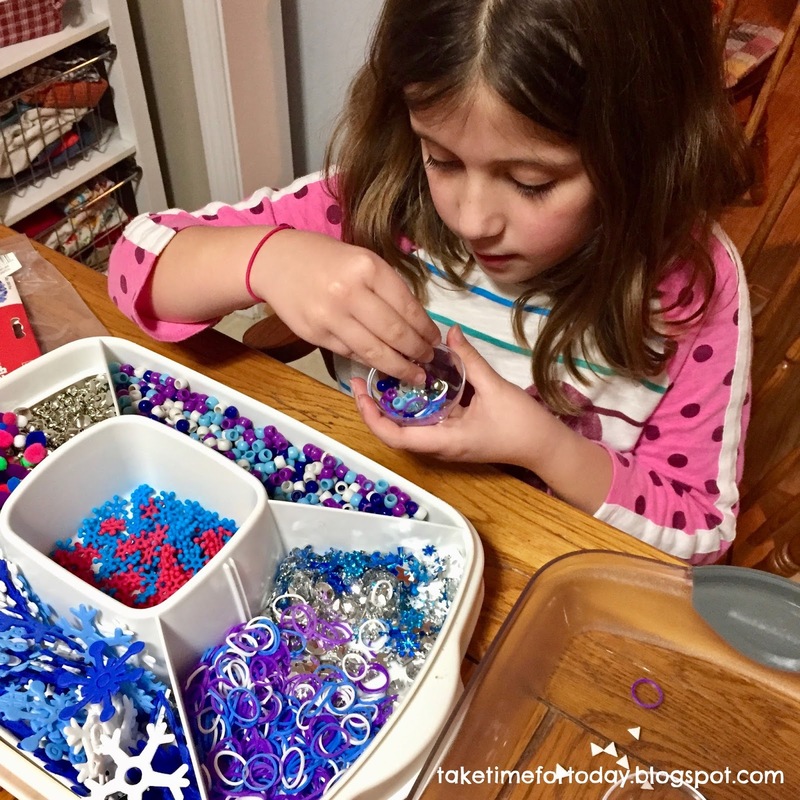 She has created one for us to hang on our mantle and is bringing these individually packed craft kits to her class so that everyone can make one of their own. Super sweet! I'm so pleased with these new additions and how they've already added to our Thanksgiving spirit! You're likely not surprised that I was able to find all these festive things online, shopping from my cozy couch! 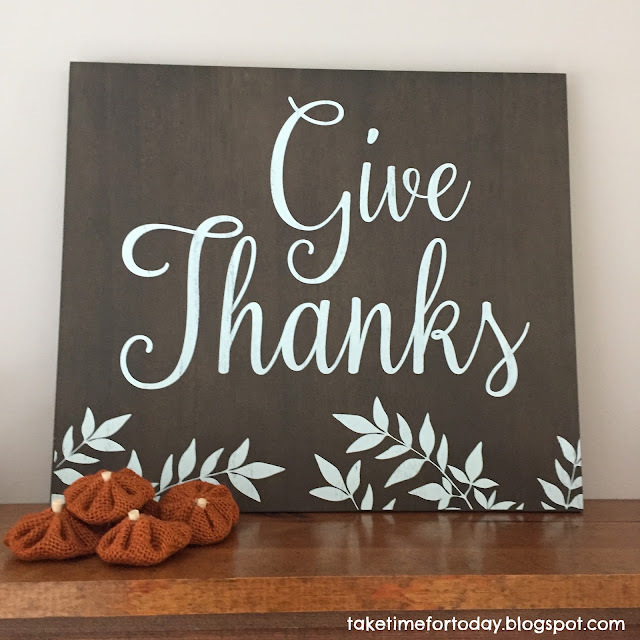 Oriental Trading has a huge selection of Thanksgiving items that will help you embrace the spirit too! No matter what your theme or decor, I'm sure you'll find something you love! 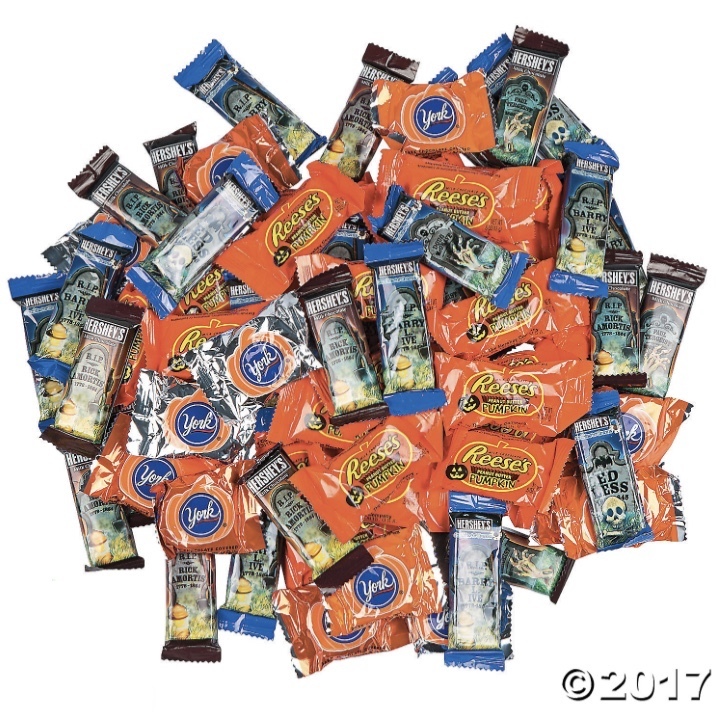 Order Your Halloween Candy and Treats Online! If I'm given the option to complete a task of motherhood without leaving the house, I'm taking it! Life is busy. 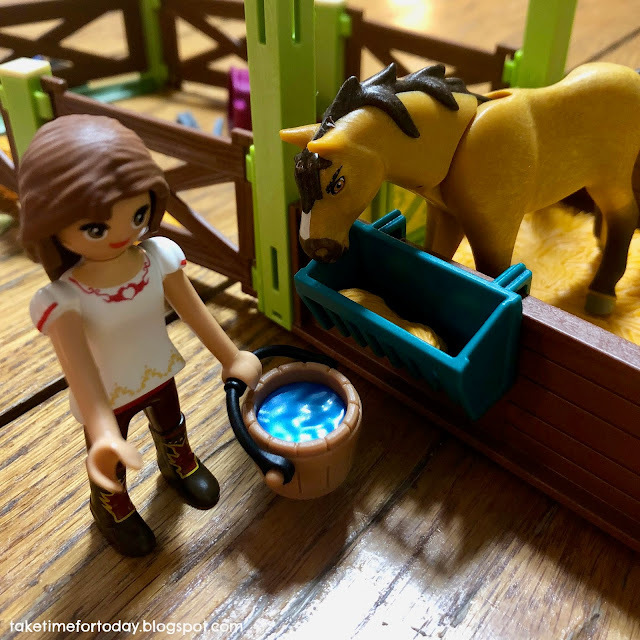 I'm a full-time working mom and time for myself is very limited. I'm certainly not complaining, but I am being realistic. The last thing I want to do when I get home from work is go to the store! 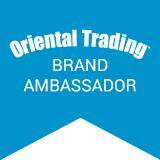 This year I got all my Halloween candy shopping done with one quick stop to Oriental Trading - online! No matter what you're planning to hand out during trick-or-treat, they've got you covered. Name-brand, chocolate, fruity, sweet, salty, even non-food items to give away, I promise you'll find something for everyone. The options are plentiful, the prices are great, and the convenience can't be beat! 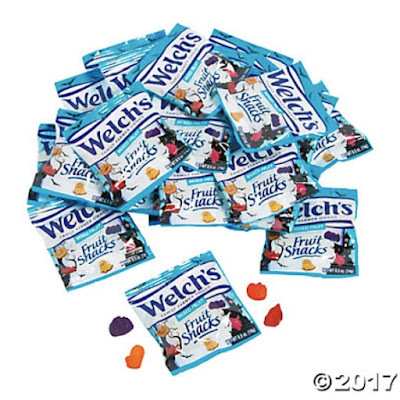 This year we chose a combination of chocolate favorites and fruit snacks with the Hershey® Halloween-Shaped Chocolate Candy Assortment and the Welch’s® Fruit Snacks Halloween Medley. I know these will be enjoyed by our trick-or-treaters this year and I certainly won't be sad if there's some left over for me! Order your Halloween Candy online today! Halloween Party Planning with Animal Print Glow Sticks... and more! In anticipation of our trick-or-treat fun with friends this Halloween, we just made a stock-up on glow wands, glow necklaces, and glow bracelets! Halloween is just no fun without glowing treats. Last year we had a glowing mishap... we snapped our glow wands in the kitchen before we left the house and glowing liquid squirted all over the place! Needless to say, this year I tested a few of these before the big night to be sure we don't end up with glowing ceilings, countertops, costumes, and children this year! Thankfully, I think we're in the clear! 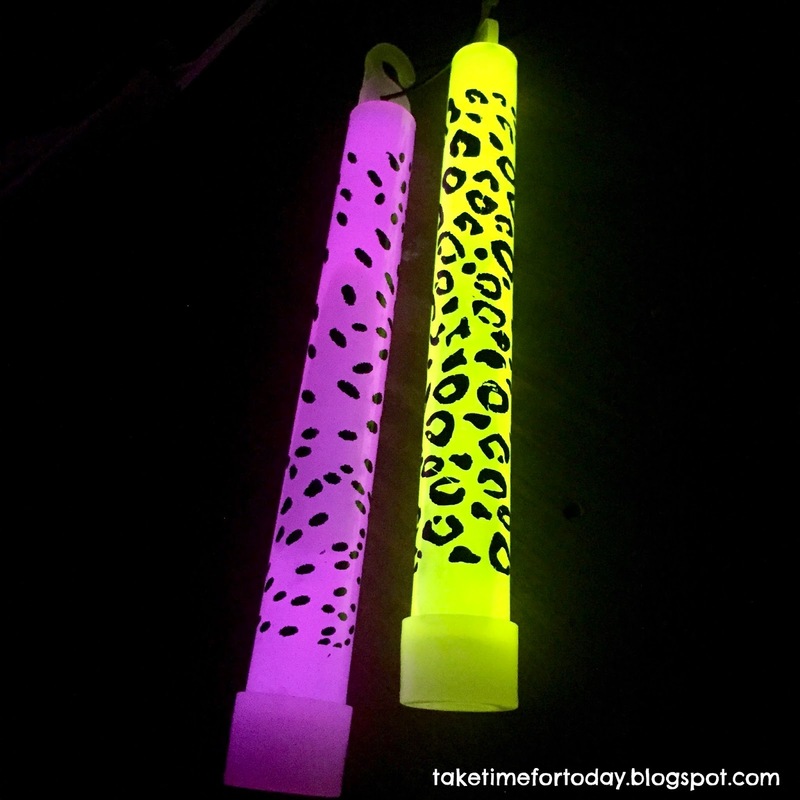 Check out these amazing Animal Print Glow Sticks! They are the perfect compliment to my daughter's Snow Leopard Costume! We were so excited to find them. She and her girlfriends are going to love carrying these around during their trick-or-treating adventure. They come with a string so you can use them as a necklace or tie them onto whatever you tote your candy in. The colors are so vibrant and the prints are super fun! 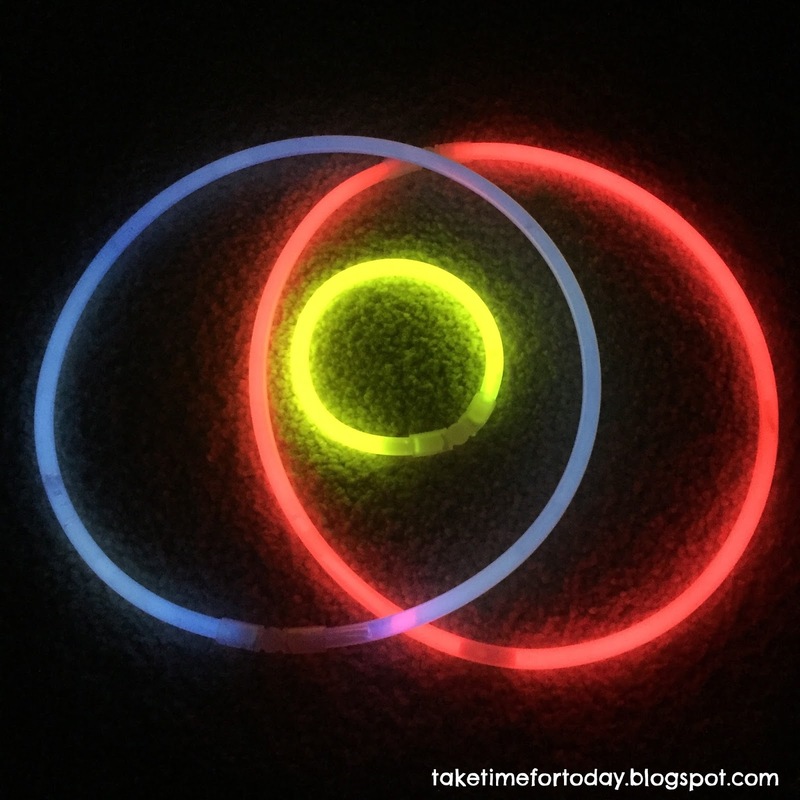 The Glow Party Assortment is the perfect mix of colorful glow necklaces and bracelets. It comes with 50 pieces - 25 necklaces and 25 bracelets - and includes the little attachments necessary to attach the ends. They are long-lasting, colorful, and just perfect to share with our friends this Halloween. Save yourself a trip to the store and order all your glow accessories online from Oriental Trading this year! Halloween is coming! You already know we're ready for our party that night, and now we're ready for trick-or-treating too! My oldest daughter typically begins preparing her costume plans on November 1 of each year. As soon as she takes one costume off, she starts planning for the next. Historically, I've made her costumes but now that I have a toddler as well and am working full time outside the home, my time and energy is more limited. Off to the internet we went, searching for costumes for both girls. Oriental Trading has so many costume options for trick-or-treaters of all ages! Whether you're looking for something for a baby, a grownup, or anyone in between, you'll find it. Group costumes, family costumes, themed costumes galore. 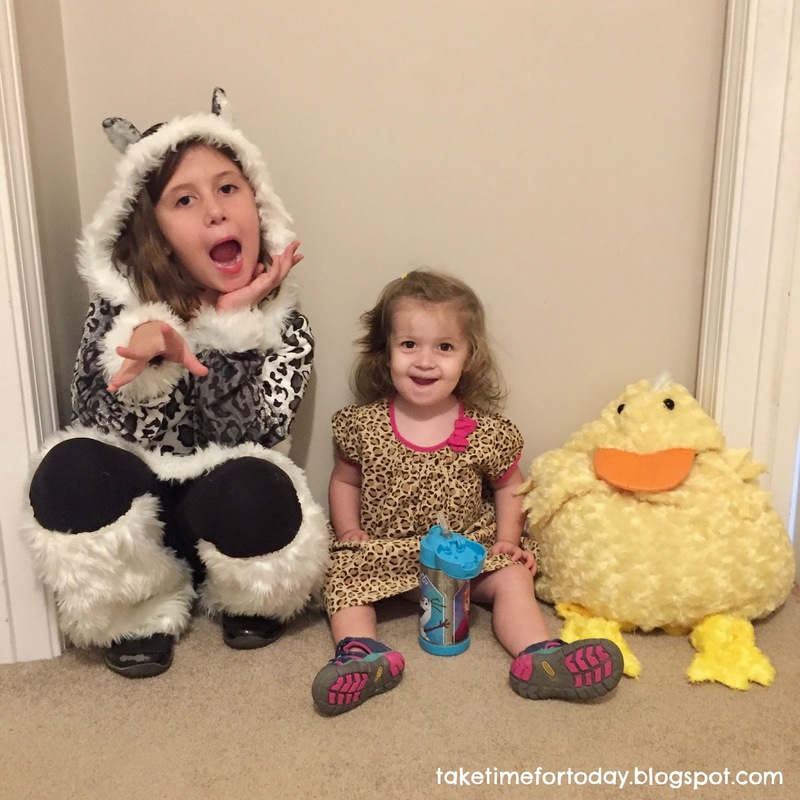 On the top of our list when we look for costumes is a costume that works practically for us. Halloween night is typically cold in New England but no kid likes to wear their jacket on top of their costume. We were on the hunt for something cozy that we could layer underneath for warmth. 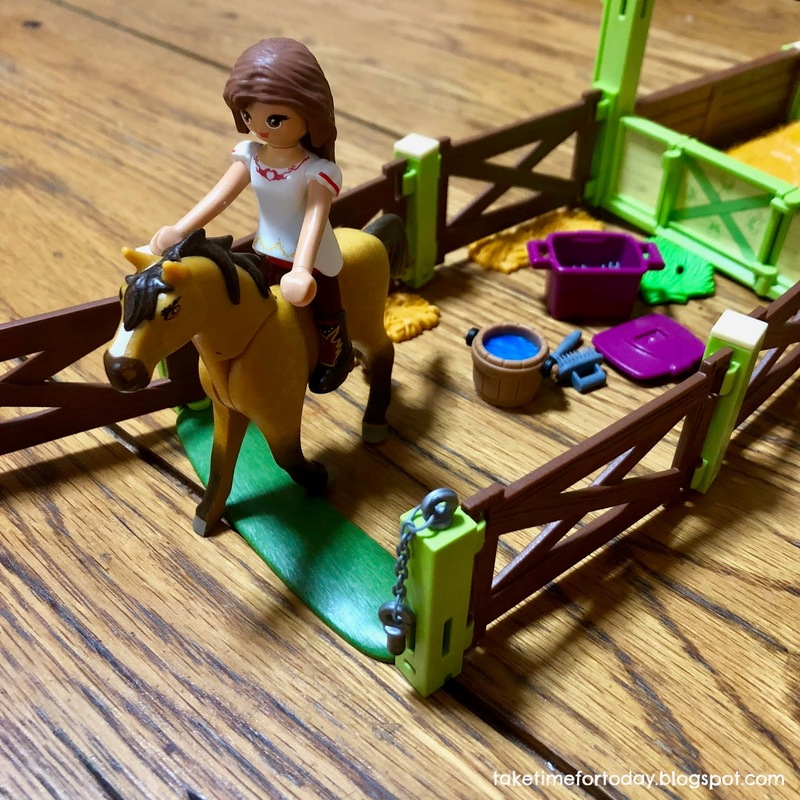 Stylish, fun, and practical - that's what my girl was looking for. 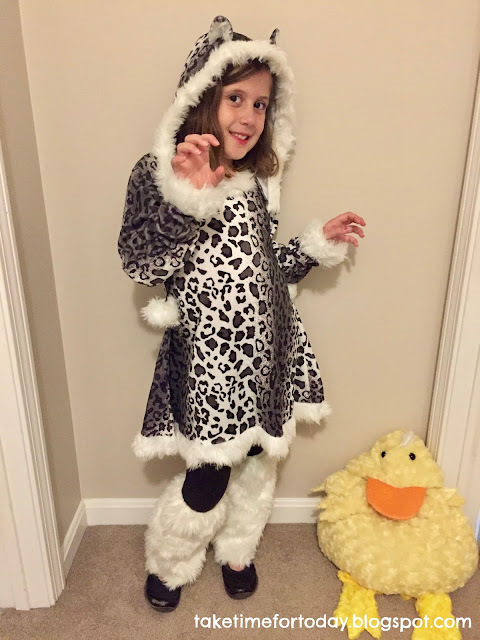 Introducing our snow leopard and our duck! I'd love to be able to convince my I'm-not-2-yet-but-I'm-in-the-terrible-twos toddler that she should wear her costume, but her favorite word right now is "no" so that's not happening. 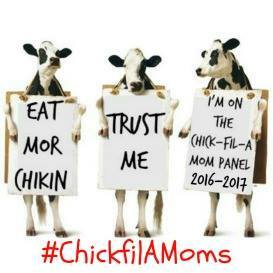 Fingers crossed she changes her mind by the end of the month! I love these costumes and look forward to making memories with them this year! They are creative, fun, cozy, and high quality. If you're looking to save yourself the hassle of a store trip to picked-over, messy costume aisles, browse Oriental Trading online. I guarantee you'll find something that works for you and your whole family. Happy Memory Making this Halloween! Homemade Biscuits - no yeast needed! Disney Store Grand Opening at Burlington Mall! Copyright © Lori Allinder and Take Time For Today, 2012-2016. Watermark theme. Powered by Blogger.